Storm Collectibles has posted a preview for their next Mortal Kombat figure. 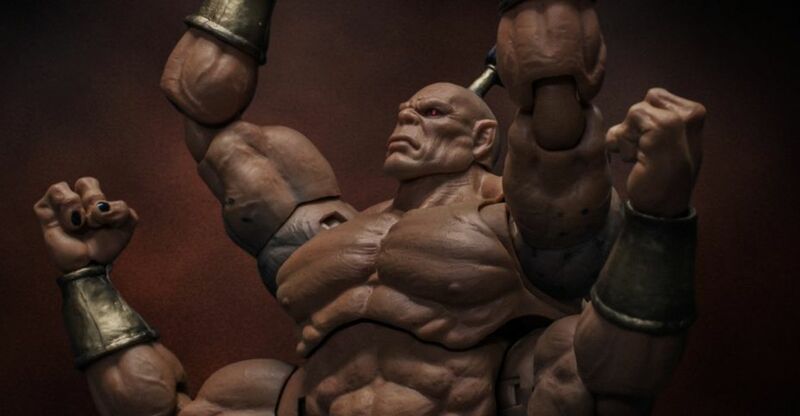 Check out their preview of the Goro 1/12 Scale Figure. 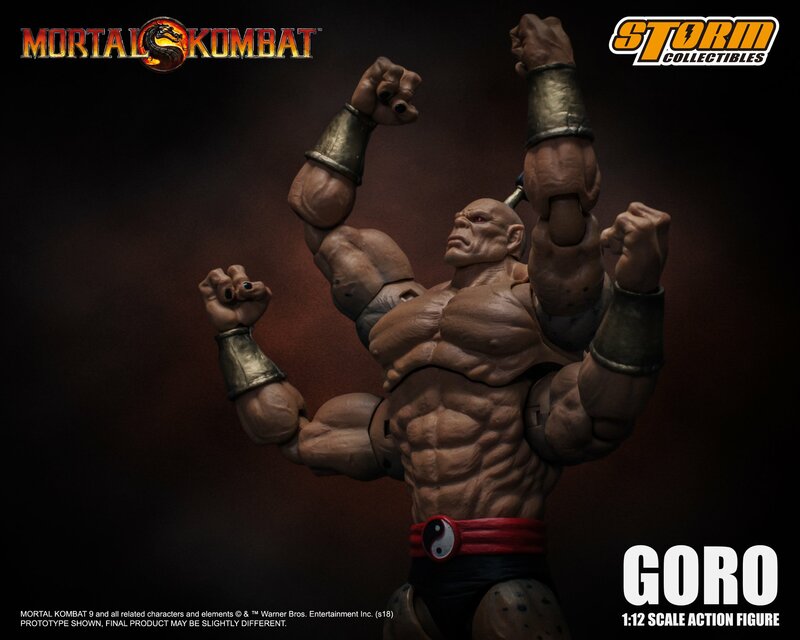 When the line was originally revealed back in 2015, one of the first figure prototypes shown was Goro. The figure has made appearances at various toy shows and conventions over the past few years, most recently at Toy Fair 2018. It finally looks like the classic Shokan will see a release! We’ll update with new images and further details as they become available. Click the banner image for the full preview.